The purpose of Search Engine Optimisation (SEO) is to give your website the highest possible ranking in the most important search engines when a user searches on words or phrases that the site is relevant for. If your site doesn't appear in the first two pages of results for your most important keywords then you are unlikely to get much traffic from the search engines and that could seriously affect your business. SEO has often had a mixed press in recent years as a number of companies have attempted to "cheat" the search engines by a variety of dubious "get ranked quick" techniques. With the search engines becoming increasingly sophisticated in detecting these techniques it is now more important than ever to know what are considered ethical Search Engine Optimisation techniques and what is considered "spamming". In the last year or so the major Google updates named Panda and Penguin have hit many sites that have used such dodgy techniques. We can advise on which techniques you may have used in the past are likely to be harming you now, and we can help to clean up the effects. Many sites are designed to be visually interesting but turn out to be impenetrable to search spiders, so a good understanding of search engine friendly design techniques is essential to make them accessible and only then can ethical search engine optimisation techniques enable them to compete effectively with their rivals. Making your site visible and useful to both users and search engines will ensure that you not only receive plenty of traffic but that it is high quality targeted traffic from users who really are interested in your content. Bill was using SEO techniques before the name existed when building the James Thin site in the 1990s, was further trained at Bigmouthmedia in Edinburgh, who are one of the most successful SEO companies in the world, and was an SEO consultant for Indiciumweb, and has developed a deep understanding of the subject. 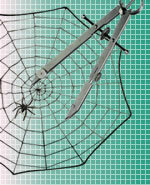 All Spiderwriting sites are built to be search engine friendly and ready to be further optimised if required. Increasingly, successful search engine optimisation requires good copywriting of the site content and this is incorporated into the SEO service if it hasn't already been utilised at the design stage. If neccessary a continued monitoring, reporting and maintenance service can be incorporated. Link management can also be undertaken where appropriate, although this is very time consuming and can therefore be expensive. While search engine ranking positions are never guaranteed and will generally depend on the keywords you choose and the degree of competition for them, you will at the very least have an advantage over most sites that are not designed with search engines in mind or have not been well optimised, and in most cases a substantial improvement in rankings can be expected. Top ten results can be achieved in many markets, but the more competitive they are the longer it is likely to take. Search Engine Positioning is normally taken to include Pay Per Click promotion. We don't offer Pay Per Click management ourselves but we have contacts with companies we trust who do, and can refer you to them if you are looking for that service. Internet Marketing is a term normally understood to mean a wider range of advice and consultation, including SEO, Blogging, Social Networking, online Press Releases, and email newsletters, but also Conversion Optimisation - looking at the way potential customers interact with your site and how you can earn their trust and effectively capture their attention to become regular visitors or buyers. We have a separate site devoted to our Search Engine Optimisation Services with lots of information on the subject. A particularly cost effective approach is to order an SEO Audit, which will give you a full report of all aspects of your site's condition and tell you what you need to do to improve its rankings. Need help planning a revamp or to understand how you can get more from your site? Looking for advice on how to incorporate a blog or use social media to best advantage?